Folks, I’ve got great news: Sparkster is coming back in the form of a new Rocket Knight game. 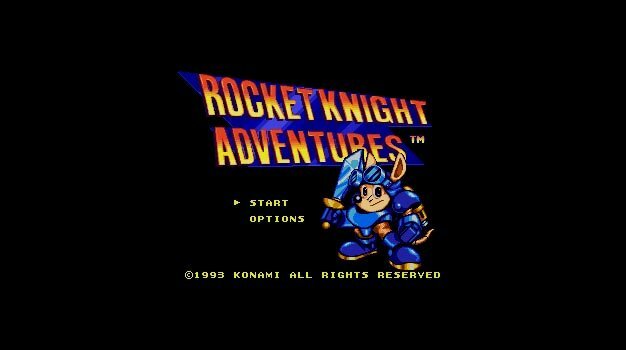 The 16 bit era was full of mascots, and Konami threw their hat into the ring with Rocket Knight Adventures, which turned out to be one of the best Genesis platformers ever made, and starred a armored up possum named Sparkster. After a couple of sequels (a good one on Genesis and a mediocre one on Super Nintendo), Sparkster and his jet pack fell off the Earth, only to randomly appear in a kart racer or a track & field game from time to time. Konami has teamed up with Climax to produce a new game in the series coming early next year for the PlayStation Network, Xbox LIVE Arcade, and Steam. Set fifteen years after the events of the last game (it’s been about fifteen years since the last game), Sparkster is called back into duty to defend the kingdom of Zephyros against the new threat of a army of wolves. Apparently everybody hates these wolves, as both the pigs and your arch rival Axel Gears have teamed up with Zephyros to defeat the wolf army, and Sparkster is ready to get his hands dirty once more. Keeping my cool has been very difficult while writing this article, as all I really want to do is start jumping up and down singing Konami’s praises for making a new Sparkster game. 1UP has a week long cover story detailing the ins and outs of the latest retro revival, and believe me when I say I am truly ecstatic right now. If you would like to know why I am so elated, go track down a copy of Rocket Knight Adventures and enjoy one of the more underrated games of the entire 16 bit generation.